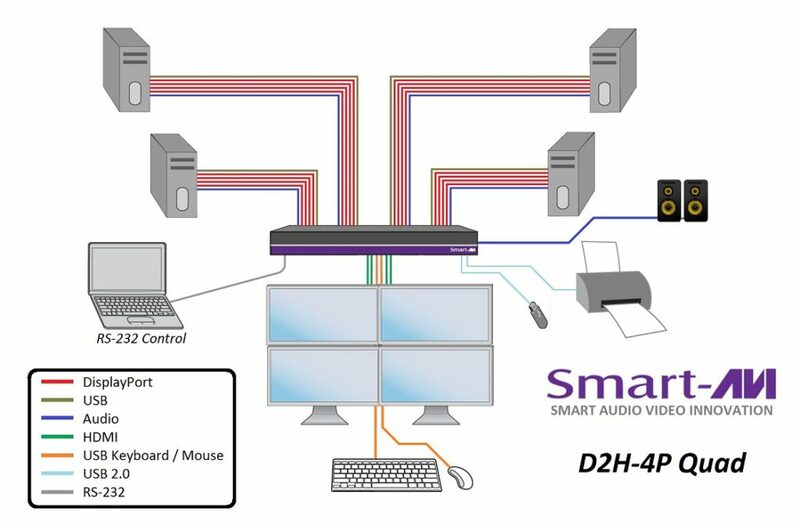 D2H-4P-Quad is a dedicated multi-platform KVM switch capable of managing four computers with 16 4K video outputs through a single, central workstation. 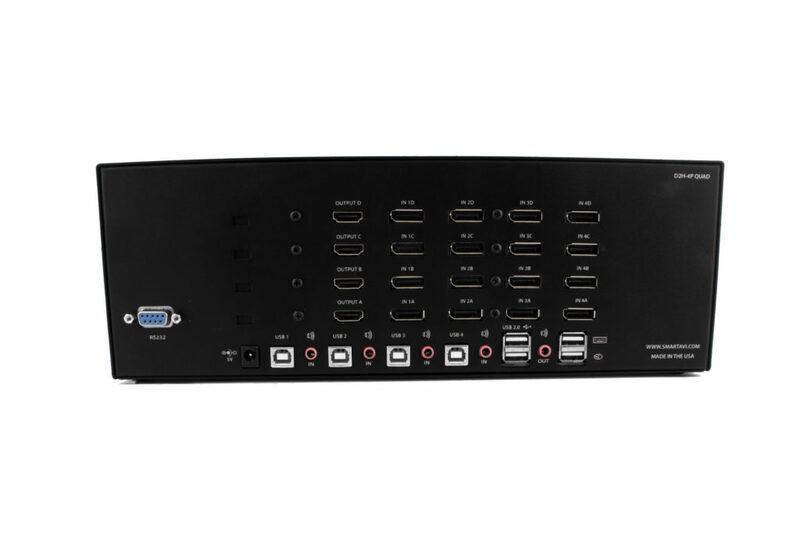 Built with four ultra-HD ready HDMI outputs, the D2H-4P-Quad is the first Displayport switch on the market to offer full video emulation directly from the device. Up until now, DisplayPort switches lost emulated picture when disconnected from monitors, leading to confusion and disorganization upon reconnecting. With D2H-4P-Quad, full EDID-assisted HDMI video emulation ensures visual workspaces and screen resolutions are remembered every time: simple! The D2H-4P-Quad is DisplayPort 1.2 and HDMI compliant, supporting screen resolutions up to 4K Ultra-HD (3840x2160 @ 30Hz) for remarkable and responsive video emulation. 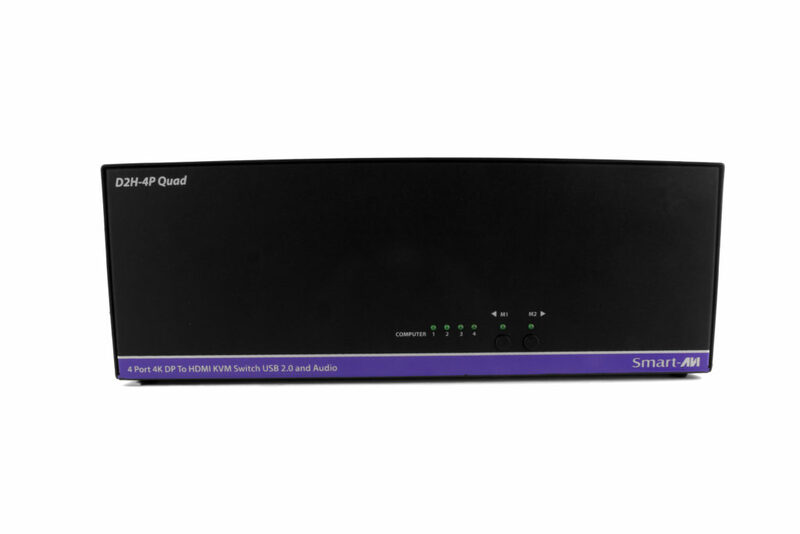 Additionally, the D2H-4P-Quad is USB peripheral-friendly, compatible with printers, keyboards, and mice. 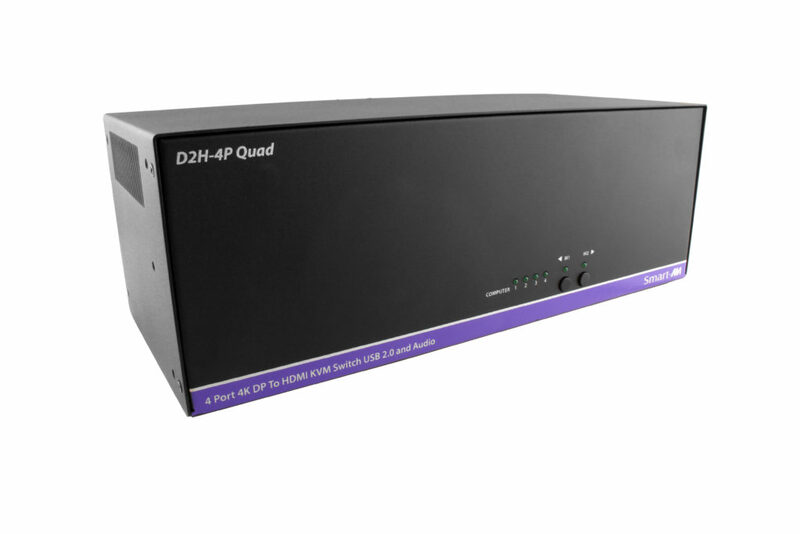 The D2H-4P-Quad is also easy to control with both a simple front-panel interface, as well as RS-232 functionality.